Using composting toilets can help reduce water usage. This type of toilet consists of a well-ventilated container that houses and decomposes human waste. Unlike conventional toilet systems, there is no flushing involved. Compost toilets depend on aerobic bacteria to break down waste, similar to that of outdoor composting. Rather than flushing, waste is composted with carbon-rich sources like wood shavings, bark mulch, leaves, etc. The end product, as with any compost, is a soil-like material similar to humus. 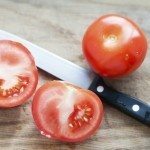 While the disposal of this humus is occasionally permitted in non-edible garden soils, depending on where you live, this compost is generally hauled away. 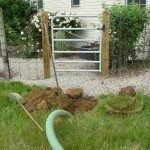 This must be done by a licensed septic hauler in your area. There are several composting toilet systems, depending on your needs. Regardless of the type chosen, however, they all share the same basic features. All will generally require the use of electricity (for heaters or fans), a composting container, an air and exhaust system, and an access door for emptying. Continuous or single composters contain only one chamber. With this self-contained compost toilet, all excrement and composting materials go into the top and are removed from the bottom in a continuous fashion. Double or batch composters consist of at least two or more containers. With this type of system, the composters are filled and allowed to age some before additional excrement and other materials are added. In addition to these systems, you will find what is referred to as true toilet and dry toilet systems. 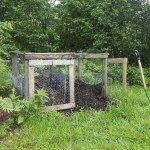 True composters are basically designed to provide the best ventilation and decomposition. These may also be known as active systems and include everything you need—heaters, fans, mixers, etc. Dry toilet systems, which are considered passive systems, require more maintenance, as they need additional heating elements or other features in order to aid with the decomposition process. As a result, this type of system generally takes longer for composting to occur. As with anything in life, there are both advantages and disadvantages to using compost toilets. Some of the advantages include the fact that they are more environmentally friendly. They require less water usage and can enhance the growth of non-edible plants in locations where soil amendment is permitted. In addition, they are well suited to remote areas. Disadvantages of a compost toilet include more maintenance than standard toilets. Improperly or poorly maintained systems can lead to odors, insects, and health hazards. These toilets usually require some type of power source, and the end product must also be removed. In addition, too much liquid can lead to slower decomposition. With proper care and maintenance, a composting toilet can be a safe and cost-effective alternative to traditional flushing toilets.